Are you a Sucker for ASPCA Slick Ads? The ASPCA is fighting hard, but are they fighting for the best interest of the animals? Whether they’re promoting animal-killing legislation, as they have successfully in the past, or labeling No Kill advocates “extremists” and “terrorists” as they have done and advising directors of high kill shelters how to fight off the No Kill barbarians at their gates who’d like them to kill fewer animals. More and more people in the internet age are looking beyond ASPCA’s weepy late night commercials and doing some fact checking. The ASPCA was bragging about their role “saving” 41 animals from a South Carolina shelter by providing transport for them. They didn’t mention they transported them to kill shelters. One of the shelters is Animal Humane Society of Golden Valley, Minnesota. 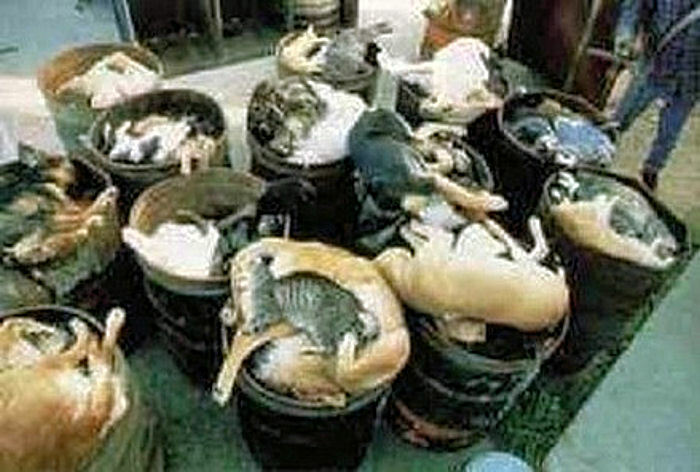 In 2009, the shelter took in 33,144 animals and killed 10,855. So the ASPCA seeks the glory and the PR for saving these animals from a South Carolina shelter – by sending them to failing kill shelters that are killing a third of intake or more. If these destinations can’t put the programs in place to adopt out the intake they already have, why are they taking in dogs from outside their communities? Will they simply kill the intake once the ASPCA drives away – or will they kill dogs they already have to make space for the new arrivals? There are certainly No Kill shelters out there that DO have programs in place to adopt out their animals, that DO NOT kill animals for space or any other reason, and that may have had the capacity to assist the ASPCA and ensure that no animals would be killed while they sought their glory. They COULD have even taken the dogs to their own facility in New York City, where they operate a small private shelter so that they can say that they do. The ASPCA has crossed the line into utter worthlessness. They send animals to be killed. They kill animals themselves. And they support high kill shelter directors and help them resist No Kill in their communities, as they did in Austin when they supported the shelter director who said that widespread killing was the only way. When that director was fired, No Kill activists, programs, and a committed director took that shelter to a 90%+ save rate. No Kill activists have at this point created approximately 30 No Kill open admission community shelters in North America – and typically on shoestring budgets. The ASPCA has not created a single one. In Memphis, Tennessee, dogs are starved to death in the shelter. In DeKalb County, Georgia, animal control officers step on cats while killing them, breaking their bones. In Chesterfield, South Carolina, shelter employees use dogs for target practice, taking turns trying to shoot them in the head. In the New York City pound, animals go without food and water, languish in filth, and receive no pain relief for chronic injuries. In Los Angeles, California, a rabbit was left in her cage for approximately one week with her spine exposed. Also discovered in the cage were a dead rabbit, his decomposing body covered with flies, and another rabbit with an eye popping out of his socket. None of the rabbits had food or water. You have Google and can find plenty of examples. Did you think America was a civilized country? Are you taken in by slick ASPCA commercials? I already know you are taken in by slick Political Campaign Ads. That is how we became a reprobate nation. What will it take to make you pay attention? Is there anything that can make you get involved, to look beneath the surface? Is there any way you will stop supporting this. Will you spread the word, stop the donations to KILL shelters and start supporting your local No Kill shelter or worthy group trying to make your community No Kill? The more Americans hinge their donations on an organization’s sincerity, integrity and performance rather than its superficial label, the sooner our nation’s so called animal protection groups will be forced — by sheer necessity — to start building, rather than blocking, the road to a brighter future for America’s animals. I know your expectations are low with Secretaries of State like Hillary “Saul Alinsky” Clinton and John “Vietnam Veteran Accuser” Kerry. Therefore, I will take some time out of my day to enlighten you about the threat to your security. You also may be alert enough to notice that countries like North Korea, Libya, Russia and China are noticeably absent. Even more disturbing are the Libyan arms that went missing during the fighting to remove Col Muammar Gaddafi including 20,000 surface to air missiles. Those weapons are now spreading ever further afield, being used in conflicts as far apart as Niger, Somalia, Gaza and Syria, a UN report says. The U.S. continues to give Libya about a billion dollars in foreign aid. Then there is Barack’s buddy Vladimir. Russia has their Edward Snowden, his name is Stanislav Lunev, a former Soviet Military officer born in 1946 in Leningrad. the highest-ranking Main Intelligence Directorate officer to defect from Russia to the United States. He worked as an intelligence officer in Singapore in 1978, in China from 1980, and in the United States from 1988. He defected to U.S. authorities in 1992. Since then he has worked as a consultant to the FBI and CIA. He remains in the FBI’s Witness Protection Program. According to Lunev, a probable scenario in the event of war would be poisoning of the Potomac River with chemical or biological weapons, “targeting the residents of Washington DC.” He also noted that it is “likely” that operatives have placed already “poison supplies near the tributaries to major US reservoirs.” That was confirmed by Alexander Kouzminov who was responsible for transporting dangerous pathogens from around the world for Russian program of biological weapons in the 1980s and the beginning of the 1990s. He described a variety of biological terrorism acts that would be carried out on the order of the Russian President in the event of hostilities, including poisoning public drinking-water supplies and food processing plants. US Congressman Curt Weldon supported claims by Lunev but noted that Lunev had “exaggerated things” according to the FBI. Our government calls it Biological Warfare, the Holy Bible calls it Pestilence. But wait, Barack Obama says the Cold War has been over for many years. Why would we ever dare to worry about Russia? I don’t think anybody who is reading this needs to be explained the sordid past of North Korea or that they possess nuclear, chemical and biological weapons. I do not doubt that they would use these weapons on anybody at any time. Since they have nukes, it is safe to assume their scientists have proliferated them to Iran and who knows who else. If the radicalized NSA would do their job instead of spying on Congressmen, Supreme Court Justices, Governors and me, perhaps they would know more about OUR REAL ENEMIES? So, what about China? China’s nuclear arsenal poses the most serious “mortal threat” to the United States among nation states, Director of National Intelligence James Clapper told the Senate. In candid testimony before the Senate Armed Services Committee, Mr. Clapper said he considered China the most significant threat among nation states, with Russia posing the second-greatest threat. He later clarified the comments by saying he did not assess that China or Russia had the intention to launch an attack on the United States. The testimony contrasts with statements by Obama administration officials who have sought to highlight the dangers of Iran and North Korea while paying less attention to China and Russia. Mr. Clapper said he does not assess that North Korea and Iran pose greater strategic threats because they lack the forces that Russia and China have that could deliver a nuclear attack on the United States. Dear Mr. Clapper, THE UNITED STATES IS NOT SECURE!!!! Until our borders and 92,000 miles of coastline are secure, ANY country or terrorist group has the capacity to cross our borders or coastlines with weapons of mass destruction. Does, “Establish Justice, insure domestic Tranquility, provide for the common defense” ring a bell? The Obama Administration sees Conservatives, Veterans, Christians and Wage Earners as THE ENEMY. Until we have a regime change, we must look out for ourselves and assume that Weapons of Mass Destruction are pre-positioned on United States soil and that our enemies are living among us at this very second. The truth of the matter is that very few people outside of Israel, Canada, Australia and Japan care one iota about us, the American People. It certainly looks like very few people in Washington, DC care about us either. Keep your powder dry and pay attention to what you do and where you go. Just because Yemen, Somalia, Mexico and Egypt are not on the State Department list does not mean they are safe. There are large and small cities in the United States that are not safe. You know Chicago is dangerous but how many of your friends know that North Little Rock, Arkansas is the fifth most dangerous small city in America? All I’m saying is stay alert and if you see something, say something. At 1241 am Flt MH370 departed Kuala Lumpur International Airport for a flight to Beijing expected to take 5 hours and 49 minutes, 227 passengers and 12 crew members were on board. At 0107, after take-off and climb toward assigned altitude of 35,000 feet, the plane sends its last ACARS transmission, which gives engine maintenance data to the ground. At 0119: Someone in the cockpit said “All right, good night” to Malaysian air traffic control. Those were the last words heard from Flight MH370. By this time they would be about 300 miles from Kuala Lumpur. At 0121: The plane drops off air traffic control screens as its transponder stops transmitting. The Civil Aviation Authority of Vietnam says the plane failed to check in as scheduled at 0121 with air traffic control in Ho Chi Minh City. At 0215: Malaysian military radar plots Flight MH370 at a point south of Phuket island in the Strait of Malacca, about 300 miles west of its last known location. Phuket is in southern Thailand. At 0811: Seven and a half hours after takeoff the last signal is received from the plane, according to satellite tracking data. The final communication placed the plane somewhere in one of two corridors: a northern arc stretching from northern Thailand to Kazakhstan, or a southern one stretching from Indonesia to the vast southern Indian Ocean. So let’s analyze, within minutes of each other ACARS and then the Transponder were shut off. In addition the 777 made a turn to the west. The theories that there was a catastrophic failure makes no sense. The Transponder has triple redundant power and will work off the battery if all else fails. If the jet needed to land quickly, there are long runways all over Vietnam and Thailand, I have landed on most of them. Clearly, no aircraft flies for 7 or 8 hours after a catastrophic failure. Some seem to think a pilot was despondent and wanted to commit suicide. Seriously, how long does that take? Do you have to fly to the far reaches of the planet to commit suicide? Some think it was a terrorist takeover like 911. I think if any landmark had been destroyed by the 777, we would know about it. It could have involved terrorists or pirates and that has been my theory from the beginning. At least one of the pilots would most certainly have had to be in on the plot either voluntarily or coerced. Somalia, Bangladesh, Pakistan and Iran come to mind. Did the 777 have enough fuel to make it to Somalia? Yes it did. The distance between Kuala Lumpur and Mogudishu is 3,896 miles. The distance from Kuala Lumpur to one of the most distant Military Air Bases in Pakistan, Risalpur is only 2,780 miles overflying India. India only operates Air Defense Radar on an as needed basis. You can be sure of one thing, if the pilots were involved, they would make sure they had enough fuel to reach destination. Air Defense Radar is very good in China, Australia and Vietnam. I think we can rule out those locations or over flight of those countries. We are down to only two possibilities, Flt 370 crashed or it diverted to some secret location. Both scenarios must be simultaneously investigated. If Pakistan Government Officials refuse to assist in the search for the aircraft, that would be a clue. Iran and Somalia are not going to cooperate. It is becoming more difficult for Somali pirates to hijack ships, they could turn to easy airline targets. I don’t think the airlines in Iran or Somalia fly any 777’s. Various Airlines in Pakistan fly a total of nine 777’s. ACARS is the acronym for Aircraft Communications Addressing and Reporting System. It’s an automated communication system used by commercial planes to transmit and receive messages from ground facilities (airline, maintenance department, aircraft or system manufacturer, etc). Therefore, along with the general information about the flight (callsign, speed, altitude, position, etc), these messages may contain what we can consider systems health checks. ACARS is a service: airlines have to pay for it. It looks like Malaysia Airlines subscribed only to engine health monitoring that enabled MH370 to send data to Rolls Royce. Is it possible Boeing was still getting the data anyway? ACARS rely on VHF frequencies, in fact you can track planes and decode messages with a simple radio receiver tuned on the proper ACARS frequencies and a software running on your computer or SATCOM (SATellite COMmunication). Although this is still debated, according to several pilots the ACARS transmissions can be switched off by the pilot from inside the cockpit, by disabling the use of VHF and SATCOM channels. This means that the system is not completely switched off, but it can’t transmit to the receiving stations. SATCOM is a radio system that uses a constellation of satellites used to transmit voice, data or both. ACARS can make use of SATCOM to transmit its data to ground stations. Dealing with ACARS, the SATCOM system used by MH370 was linked to the INMARSAT network. INMARSAT is a British satellite telecommunications company that offers global services through a constellation of three geostationary satellites. The system relies on “pings”. A Ping is a quite common term for IT Networking. It refers to a utility used to test the reachability of a host on an IP network and measure the round-trip time of the packets . Similarly to what happens on a Local Area Network, satellites send pings once a hour to their receiving peers that respond to it thus signaling their network presence. Hence, these pings are no more than simple probes used to check the reachability of SATCOM systems aboard the planes. From the analysis of the time between request and response it is possible to work out the distance of the plane from the satellite allowing investigators to work out two possible locations along an arc. I doubt very seriously that most pilots know their system responds to the pings when it is shut off. 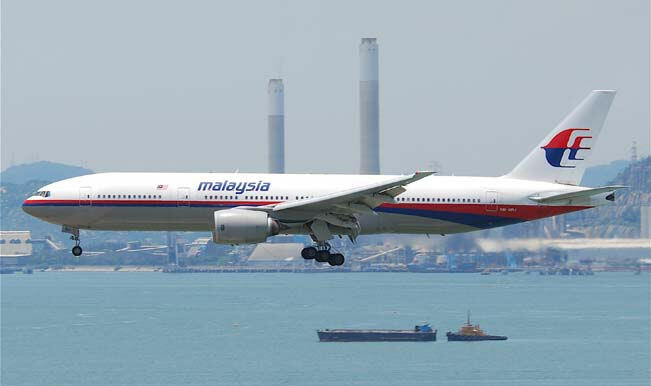 Based on details recently disclosed, the last response to a satellite ping, was sent by the SATCOM aboard MH370 at 08:11 AM Malaysia time, over 7 hours after the loss of contact with the Boeing 777. The jet may have flown up to 59 minutes more or a total of almost 8 1/2 hours. 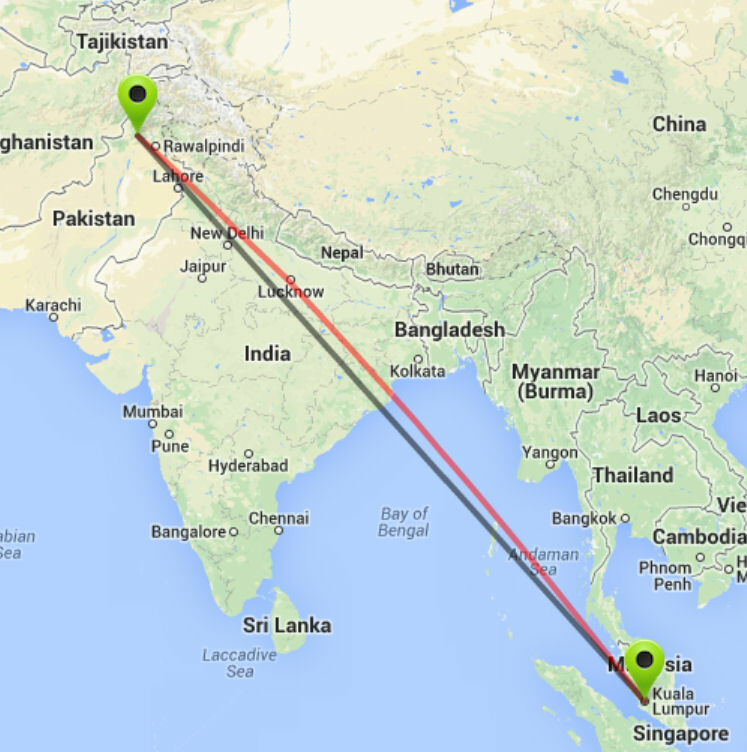 Between 7 1/2 and 8 1/2 hours the jet may have flown between 3,500 and 4,200 miles from Kuala Lumpur. Finally, if the 777 is located using intelligence, satellite or anonymous tip, don’t expect it to be breaking news. The governments will likely formulate a plan of action before releasing any potentially classified information. Keep your eyes and ears open. 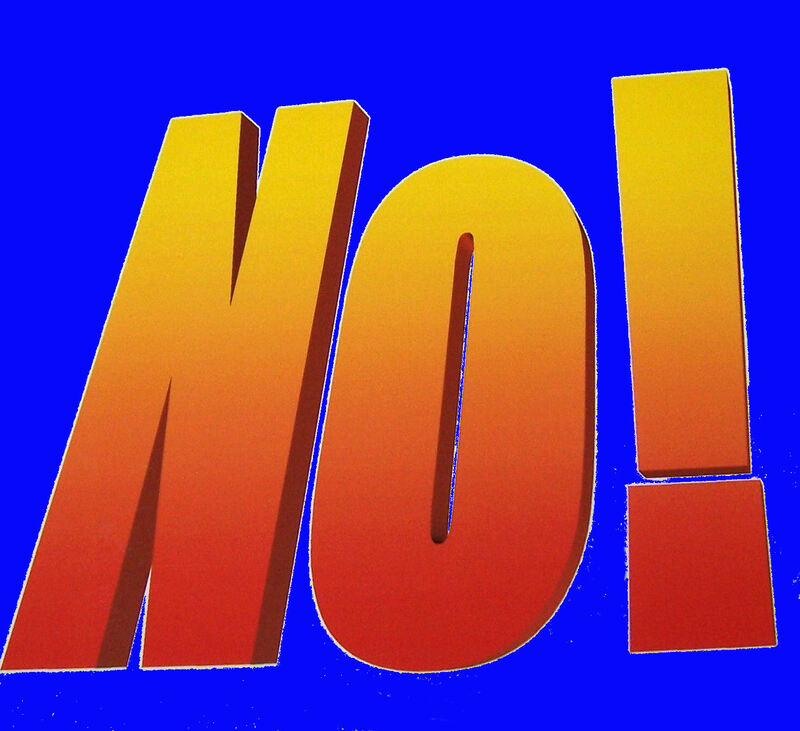 Now even Republican leaders are calling the Republican Party the party of “NO.” Simply put, the leaders who control the GOP are ignorant of what they are up against. Many have been in Washington so long they have lost their grip on reality and common sense. Breaking Information, Here is what the Democrats are up to: The Democrats operate not by the Constitution, the Bible or principles of Freedom and Democracy, they operate by rules established by Saul Alinsky. Ignore Alinsky at your own peril! Have you noticed that while society is trying to keep its head above water dealing with the deadly tentacles of Obamacare, Obama hits us with so called Immigration Reform, raising the minimum wage, distressing the Defense Department, shutting down coal mines, blocking the Keystone Pipeline, bombing Syria, starting Cold War II, endless debt and so forth? Our Republican leaders think we should busy ourselves with responding to these attacks on the American Way of Life. That we should be firefighters instead of working to prevent fires. Obama worked for the organization founded by Alinsky and Hillary wrote her Senior Thesis about Saul Alinsky. Here is one of his rules: Change is brought about through relentless agitation and “trouble making” of a kind that radically disrupts society as it is. Continuing with Alinsky: Since both the middle and upper classes have none of the organizer’s enthusiasm for radical change, he must do his best to “stir up dissatisfaction and discontent.” He must “agitate to the point of conflict.” The organizer “dramatizes…injustices” and engages in “‘trouble making’ by stirring up” just those “angers, frustrations, and resentments” that will eventuate in the “disorganization of the old and organization of the new.” He is determined to give rise to as much “confusion” and “fear” as possible. Do you think the mainstream media is ignorant of the goals and aspirations of the Democratic Party to evolve into a Marxist Classless Society that would accept a One World Government? They are not as stupid as they act, they support the Democratic agenda hook, line and sinker. The unions use the same tactics and have for many decades. I am not so out of touch that I believe for a second that the three current occupants of the positions I mention would make a speech even remotely like the preceding. They fear criticism from the Liberal Media. Now that statements about the Ukraine made by Sarah Palin years ago have turned out to be true, the Liberal Media that made fun of her remains silent. If the Liberal Media is not criticizing Republicans, they’re not real Republicans. They love John McCain, Lindsey Graham and, well, you know the usual suspects. In the meantime I can dream of a Senate led by Ted Cruz or Rand Paul, a House with Trey Gowdy as Speaker and a National Republican Party led by Mark Levin. In 1983 I attended a National Defense University Joint Course where we looked at several global scenarios and war gamed them. The U.S. had come through a period of military decline where Naval Ships could not operate because of a lack of fuel, Army Tanks had to cannibalize other Tanks so that half of them could be operational and Air Force planes could not fly because pilots were not trained. I can’t speak for the military as a whole but my morale was recovering from the Jimmy Carter Presidency and the Thermostat Police who made sure I was too hot in the summer and too cold in the winter. A government that spent $6 million dollars on me in pilot training even before I started training to fly jet fighters, had no interest in my physical comfort. During the Presidential Campaign of 1980, an important Campaign Plank for Ronald Reagan was to build a 600 Ship Navy. In 1983 the total Naval Active Ship Fleet totaled 533 including 13 Aircraft Carriers. Today that number has dropped to 288 Ships including 11 Aircraft Carriers. The total Active Military Force numbered over two million personnel in 1983, today that number has dropped to below one and a half million and continues to decline. In simple terms, our total Active Duty Military Personnel number about the same as the population of San Antonio, Texas. In my day I had the privilege of commanding a Provisional Wing including U.S. Navy, Air Force, Marine, Air Force Reserve, Air National Guard and Canadian Air Force Fighter, Tanker, AWACS, Reconnaissance and Tactical Airlift Forces. I am a strong advocate for the Navy and their ability to project power globally. Often a Naval presence can be a stabilizing force without the actual use of force. All our services work synergistically to defend America and I am proud of every man and woman who wears or ever wore the uniform of the United States Armed Forces. We have come too far and too much American blood has been shed providing peace and stability on Earth to throw in the towel now. While America has been unilaterally disarming and twiddled our thumbs while millions of illegal aliens poured across our borders and penetrated our 92,000 miles of coastline, a huge vacuum has been created. While Americans have been lulled into a false sense of security at home following the end of the Cold War, Americans are not safe. Just as nobody knows what our Ambassador was doing in Benghazi on 9/11, nobody knows just how many illegal aliens there are in our country. It could be 20 million, 30 million or 50 million? Nobody knows who they are. Certainly there are Iranians because Iranian books have been found discarded on the well worn trail leading from our southern border. There are illegal’s from Somalia, Yemen, Libya and Syria. It is reported that some Chinese have paid $50,000 for safe passage through the hole in the fence. There must be Russians here as well. Right now they all seem content to watch America self destruct. With the recent use of Chemical Weapons in Syria it should be apparent to even the National Security Agency that those weapons came from Iraq and that Syria is the repository for Saddam’s WMD’s that could not be found. Syria is the headquarters for numerous terrorist organizations. Terrorists who arrive in Syria are whisked away to their headquarters. Their passports are never stamped. Who knows what lurks in that country? There are Soviet Suitcase Nukes that are unaccounted for and 20,000 shoulder launched surface to air missiles missing from Libya. Where are those weapons? There is no reason to believe they can’t be right here in the Unites States. The Coast Guard is too small to secure 92,000 miles of coastline and Democrat and Republican Administrations have refused to secure our borders. The USSR was embarrassed by Reagan. They tore down that wall and withdrew into their shell. They disappeared from the world scene but they did not forget. Today Russia is reinvigorated with a strong leader in Vladimir Putin and they are on the move. The period between late 2011 and early 2012 brought news of the highest-ever level of orders for naval equipment placed by the Kremlin since the collapse of the Soviet Union. In addition, this period was marked by the Kremlin leaders expressing their dissatisfaction with the deployment of US antimissile systems in Europe and promising an “asymmetric reply”. This “reply” calls for keeping Russian nuclear deterrent forces intact and able to meet new challenges from threatening forces. In late 2011 Dmitry Medvedev and Vladimir Putin made it clear who these forces are: the US and NATO. In the Kremlin’s eyes, the missile interceptor shield being created in Western Europe destroys the existing strategic balance between US and Russia. So, the nuclear deterrent forces shall be upgraded according to these new realities. Construction of strategic submarines, along with refit and modernization of in-service nuclear assets is a move in this direction. Make no mistake, neither the Russian nor the American economies are anything to brag about. As Russia embraces Capitalism, America is sliding into Marxism leading to a classless society. However, Russian expansion should give pause to even the lowest low information voters in America. As in the days of Noah, Americans are oblivious to influences outside of their world of Wal-Mart, sports arenas, dumbed down TV shows and the love life of their favorite celebrities. While America fiddles, Vladimir Putin is inking deals to create Russian Military Bases in Vietnam, Cuba, Venezuela, Nicaragua, Singapore, the Seychelles (a French speaking country in the Indian ocean) and several other countries. To facilitate this expansion, Secretary of State Kerry has said the U.S. no longer cares about that pesky Monroe Doctrine. I’m not sure oblivious Americans inside and outside the Obama Administration ever heard of the Monroe Doctrine? Established in 1823, it stated that further efforts by European nations to colonize land or interfere with states in North or South America would be viewed as acts of aggression requiring U.S. intervention. It worked pretty well for 190 years. Recently Russian Spy Ships have been visiting Cuba and Russian Nuclear Submarines armed with Nuclear Missiles have been cruising in the Gulf of Mexico undetected. Then there was that Cuban Missile Crisis that brought the Super Powers to the brink of Nuclear War. Today, Vladimir Putin senses extreme weakness on the part of the Obama Administration and sees no impediment to doing whatever the hell he wants to do wherever he wants to do it. 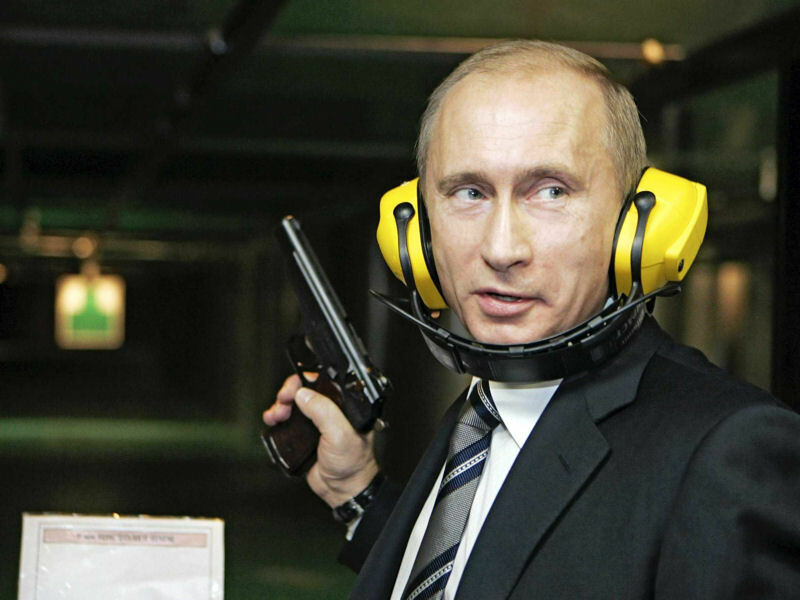 Putin no more fears Obama and his Muslim Brotherhood Administration than he fears a Mexican Chihuahua. The void created by U.S. Base Closures and diminished influence is being filled at a rapid pace. At the same time, both China and Japan have made great progress in strengthening their Navies. China now has an Aircraft Carrier and plans for the eventual construction of several more. Beijing continues the development and manufacture of nuclear submarines and without Russian permission, China has launched into production of the J-11, a clone of the Sukhoi Su-27 land-based fighter, and the J-15, a clone of the Su-33 deck fighter. Japan, apparently sensing the unreliability of the United States, has been dramatically expanding her self-defense capabilities with a number of very advanced blue-water assets of previously unknown classes. Japan has built a series of large conventional submarines and is working on more advanced ones featuring extended sea autonomy and stealthiness. Our government is spying on our most trusted allies while Russian Subs mingle with Cruise Ships in the Gulf and Terrorists mingle with citizens in our shopping malls. America’s top Generals and Admirals have been ousted and it looks like the Obama Administration is at war with our military personnel. Curtis LeMay’s Strategic Air Command is gone as our military is being turned into a social experiment. People don’t know who to fear the most, Putin or Obama. I know one thing for sure, Marxism has never worked and never will work. It destroys societies, creates political prisons and produces famine. In North Korea, millions die of starvation while a few insiders are able to frolic with Dennis Rodman and ride around in a 1970 Lincoln Continental. Is that the Liberal idea of utopia? Is that the great Marxist dream? What is your choice, the rice paddies or the salt mines? Now just set back, order a pizza and tune into Good Morning America or All Things Considered. Don’t bother yourself with the realities of the world, maybe you will learn a new recipe. You are currently browsing the Gene McVay On Guard blog archives for March, 2014.